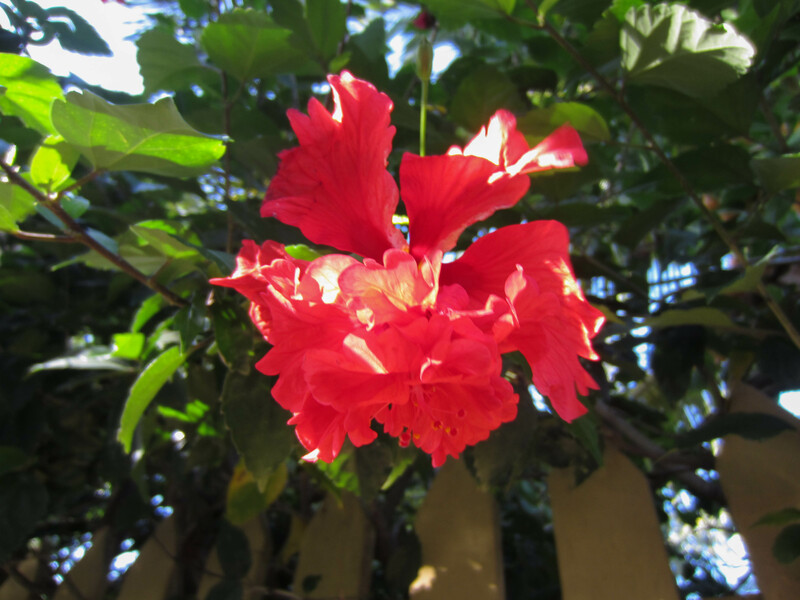 I fell in love with all the brilliant, bright tropical flowers on the island of Roatan. Here is one being captured in the hot afternoon sun. We have hibiscus flowers in our garden…I love them.